MUNICH (Bloomberg) -- Jaguar Land Rover aims to win over a growing group of urban residents who are more fixated on smartphones than cars by offering a new service that will recognize the driver, predict how warm he or she likes the seat and prompt them to swing by the florist on an anniversary. Like the push to develop driverless technology, JLR's so-called Smart Assistant project has the goal of making vehicles more intelligent and aims to do it within two years. Carmakers like JLR are seeking to reverse declining car ownership rates in Europe's biggest cities, where public transport and car sharing are viable alternatives to owning a vehicle. "Priorities have changed" from the time when buying a car was a yearned-for rite of passage, said Paola Franco, 44, who views her 45km (28 mile) London commute as more or less wasted time. "It's far more important to be connected." Since 2005, the number of vehicles per 1,000 people in Paris has fallen 9 percent, alongside an 8 percent drop in London, according to data from research company Euromonitor International Plc. In Munich, home of BMW Group, the number has fallen 16 percent in the same period. 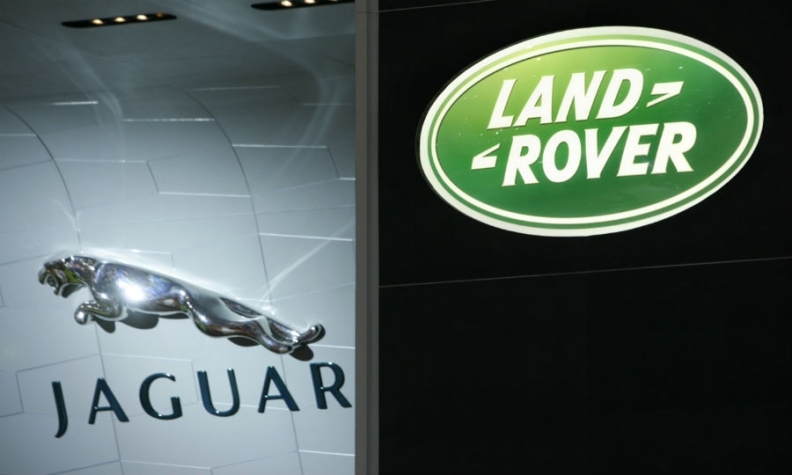 Jaguar Land Rover will start rolling out the Smart Assistant gradually over the next 24 months, said Anthony Harper, head of research at the Whitley, England-based manufacturer. Not all functions will be available immediately. "In terms of what the customer will experience, it's more of a feeling of the car becoming a much smarter and a much more alive thing to interact with," Harper said. The system will use cameras to recognize the driver's face, along with technology that picks up signals from smartphones to adapt climate and even driving settings for that person. It's designed to help keep focus on the road and will compete with technology from Mercedes-Benz and Ford. Increasing use of cameras as well as radar, infra-red and ultrasonic sensors is already making cars smarter, helping to stop vehicles from veering from lanes and signaling when something is in the driver's blind spot. Mercedes introduced a system in its S-class luxury sedan last year that enables the vehicle to drive itself in stop-and-go traffic. This month, Audi announced a similar project, saying it will soon offer cars that can steer, brake and accelerate at low speeds on their own. "There's now an understanding that more technology not only makes the car more autonomous but also safer," said Christian Rauch, managing director at Frankfurt-based trend consultancy Zukunftsinstitut GmbH. Intelligent systems "can take over many tasks that are a nuisance." Ford's offers a Sync system that can access a driver's mobile phone contacts, read out text messages and change the temperature by voice command. Ford will add accident alerts and other intuitive systems over the next five years. "The car of the future will be much more than a mode of transport," Mercedes said in an emailed statement. It'll become "an intelligent, automobile companion that recognizes the driver's and passengers' wishes, moods and preferences." Mercedes also plans to offer more of what it calls "augmented reality," which already includes a night-vision system in the S class that marks pedestrians and animals in red. Virtual windshield displays could eventually point to the building where the driver's next meeting takes place or add leaves to trees during a dreary November drive, according to Peter Ebel, responsible for telematic systems at Daimler. Other carmakers are teaming up directly with smartphone makers. Apple's CarPlay will display a version of iPhone applications that can be operated by voice or touch; Honda Motor Co., Mercedes and Ferrari have said they plan to put it in their cars. Google's Android Auto, a partnership with major automakers including General Motors and Nissan, will also play through a dashboard screen. Some hiccups remain. Patchy voice recognition is new-car owners' top complaint, according to J.D. Power & Associates. Meanwhile, fully hands-free driving is against the law in most places -- drivers must be in a position to control their vehicles. People moving into cities with good public transport networks, limited parking and congestion "is a negative for car demand," said Neil King, an automotive analyst at Euromonitor. "The need for a car is diminished." That means automakers have to offer more than four wheels and an engine to woo modern consumers like London commuter Franco or Australian Hal Ashburner, who opts to commute by ferry across Sydney harbor rather than drive. The 41-year-old reads the morning paper on his 35-minute ride and uses the ferry's free wireless Internet as pelicans flap overhead and the occasional whale pod swims by. That's tough competition for potential gridlock. "I will continue to try and arrange my life so I don't have to commute by car," Ashburner said.